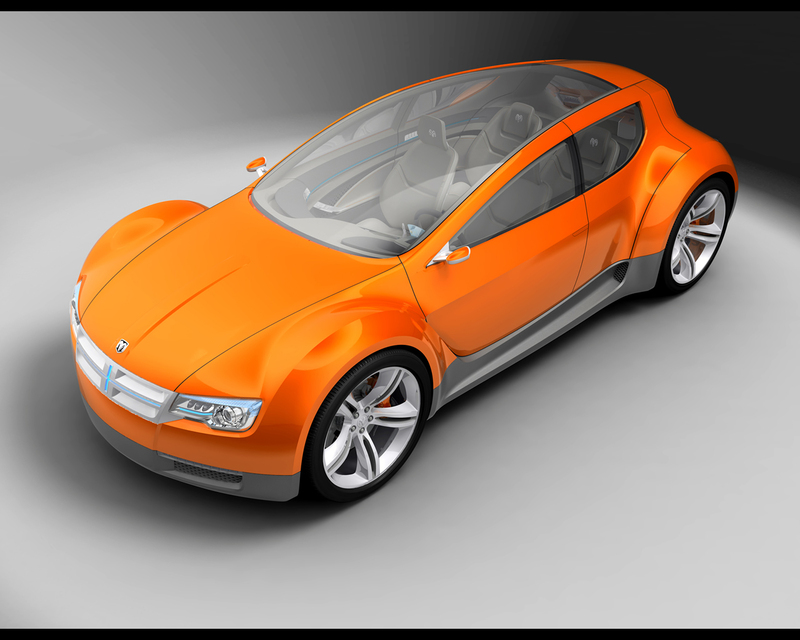 The 2008 Dodge ZEO- Zero Emissions Operation - concept vehicle is a four passenger, all-electric, 2+2 sport wagon with bold emotional characteristic of the Dodge brand. 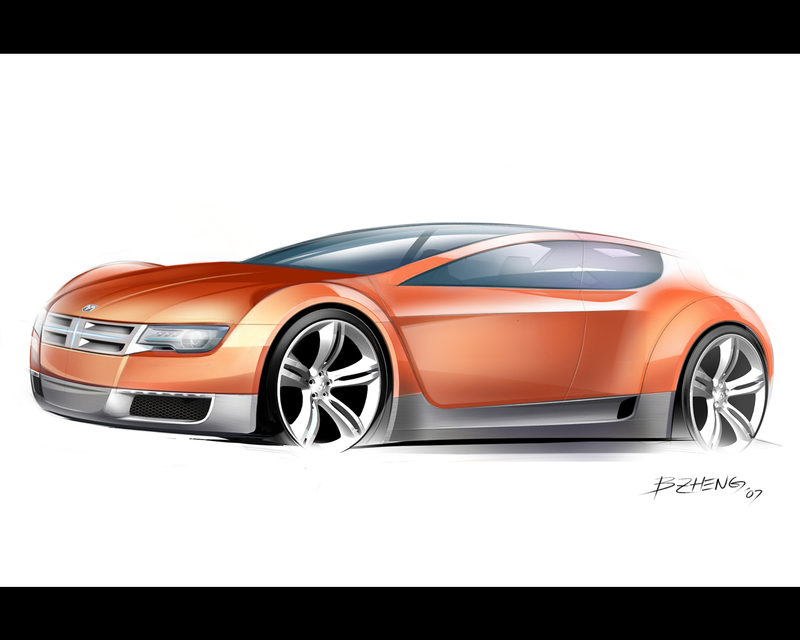 "The Dodge ZEO concept is designed to break the paradigm of what an electric car should look like," said Bill Zheng, Dodge ZEO principal exterior designer. 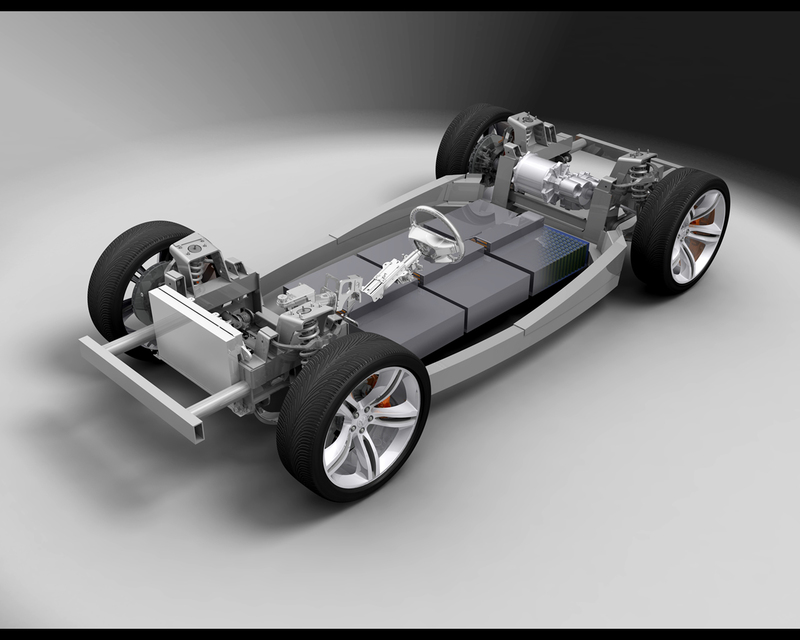 "An electric car can be as expressive as any gasoline-powered vehicle. 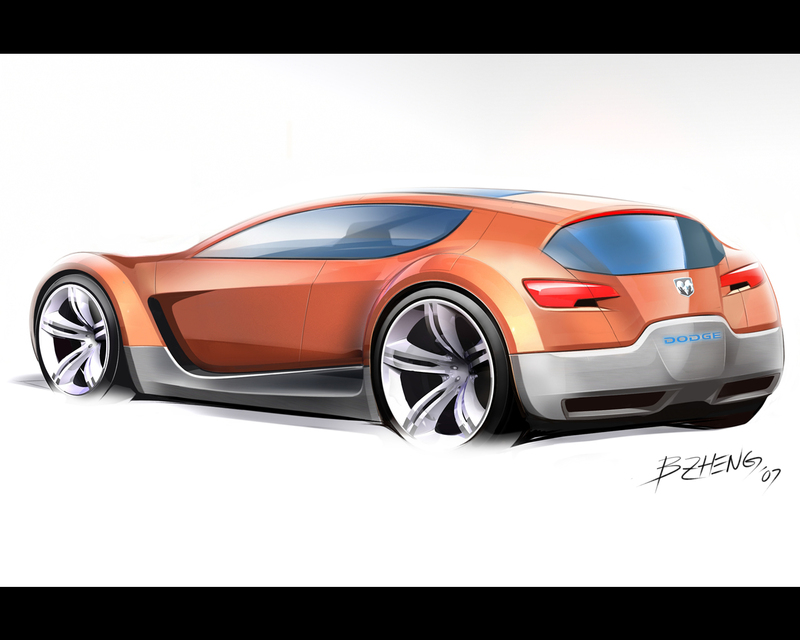 The Dodge ZEO proves that point, and then some." 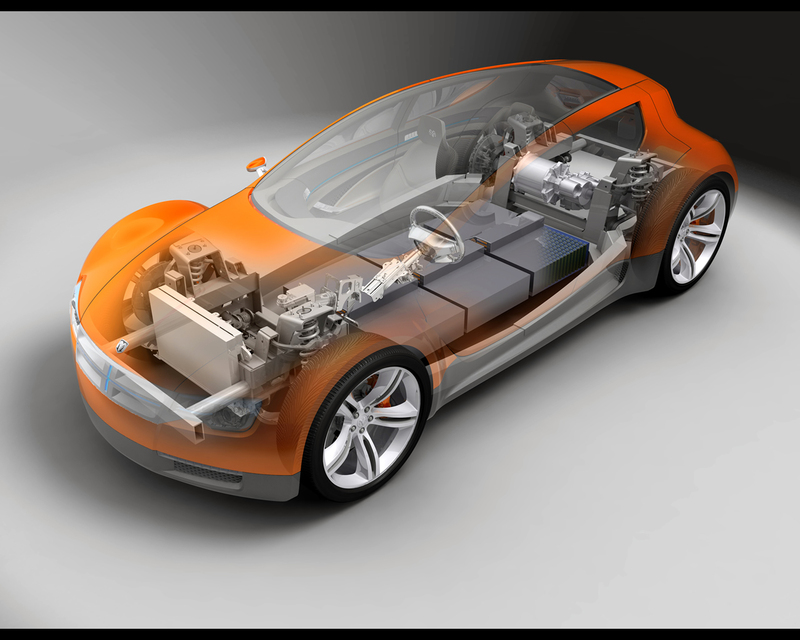 The advanced propulsion system powering the Dodge ZEO concept is electric only with a 64 kilowatt-hour lithium-ion battery pack capable of at least 250 miles. resting in a rear-wheel drive layout, Dodge ZEO's 200 kilowatt (268 horsepower) single electric motor contributes to a 0-60 mph time less than six seconds, which rivals Chrysler's famed HEMI powerplant. 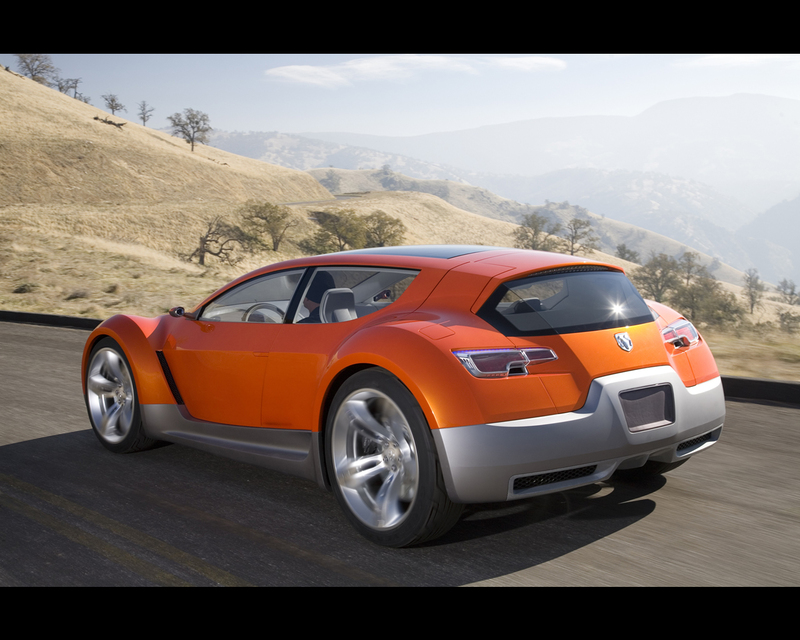 Unlike other such vehicles, the Dodge ZEO concept is a four door, four passenger vehicle that delivers function as well as environmental responsibility. Nestled between the robust circular wheel arches, ZEO's elongated beltline ends with the signature Dodge kick-up at the rear, where the reverse-angle C-pillar is planted directly over the rear wheel arch. 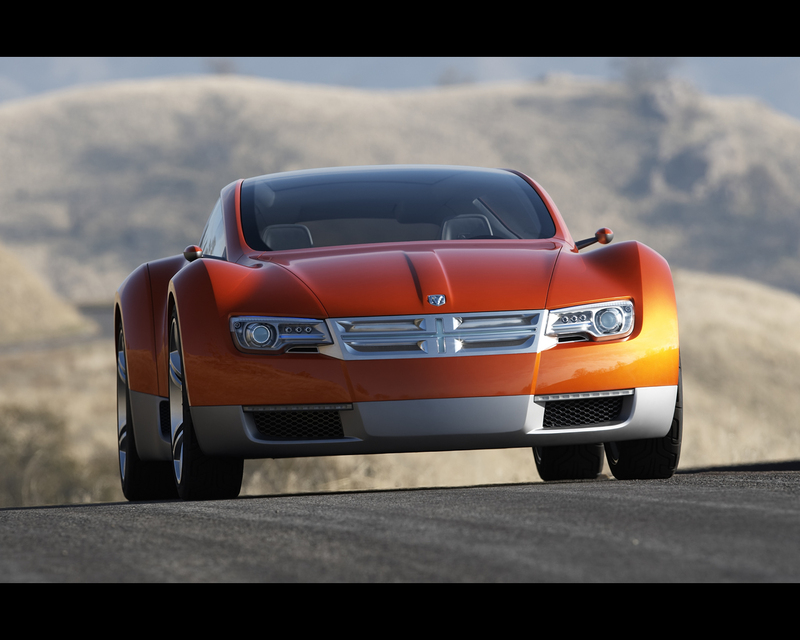 Dodge ZEO's rakish A-pillars curve into extended roof rails that twist and converge as they race rearward. The windshield glass continues in an unbroken, curving plane nearly to the rear of the car, giving both front and rear passengers an unimpeded, all around view while showcasing ZEO's inventive interior. Other expressive details include "scissors" doors, front and rear lamps treated as separate sculptural forms, and the "ZEO orange" and dark silver exterior. "The lit crossbar grille", says Zheng, "is designed to communicate the use of electricity as ZEO's power source." The entire cabin is treated as if it were a single piece of sculpture. 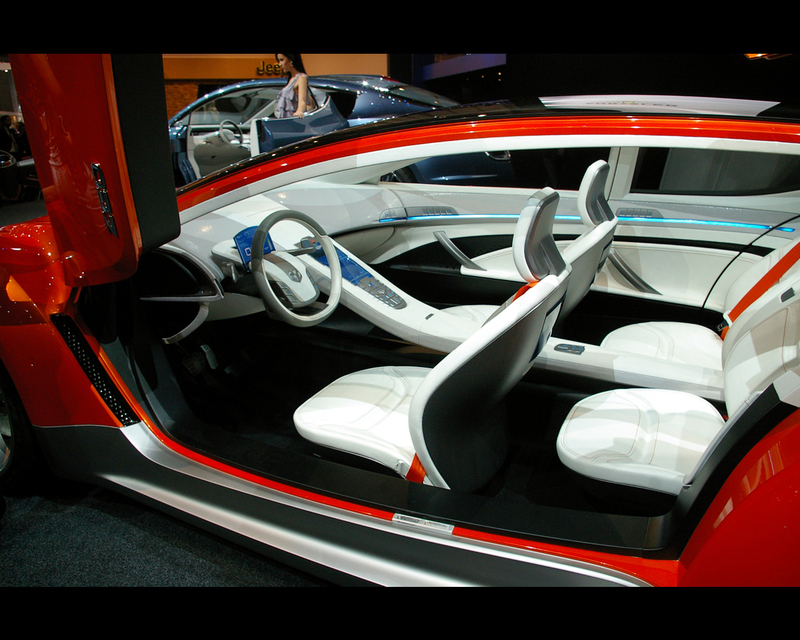 "The Dodge ZEO concept is an example of designing for people who are used to a dynamic lifestyle and who are surrounded with information and virtual friends at all times," says Lou Gasevski, the principal interior designer of the Dodge ZEO concept. This design approach blends the usually separate-looking parts of the interior into a unified whole. A narrow strip of blue LED accent lighting on the doors and quarters lead to the back panel, adding to the sweeping effect. 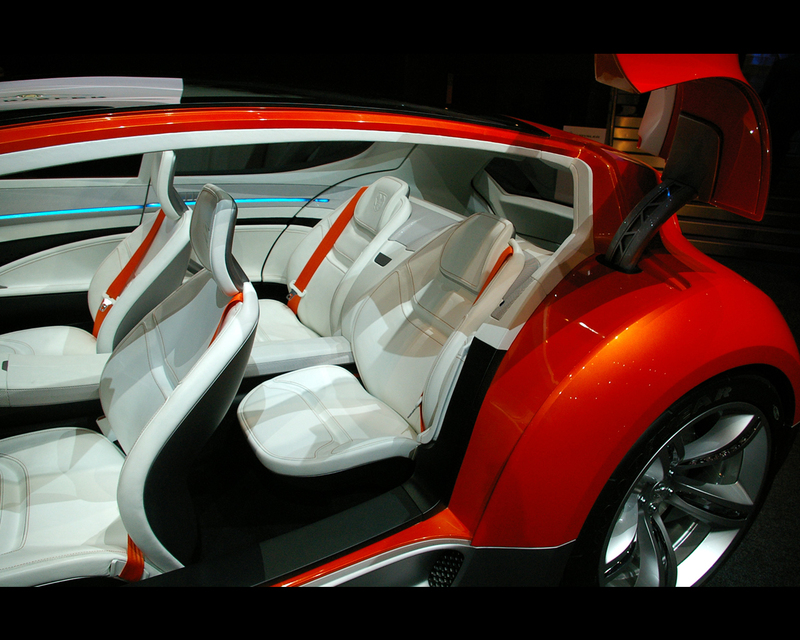 Most of the interior surfaces of the Dodge ZEO concept are colored in Super White, adding to the sculptural impression. A slim center console slopes down from the windshield of the Dodge ZEO concept, creating a dual-cockpit effect. It then levels off to divide that cabin by continuing clear to the back panel. To avoid visual clutter, customary controls and a viewing screen are set flush with the surface. Instead of a conventional instrument panel, the steering wheel, column and instruments are treated as a freestanding design element. The Dodge ZEO concept's steering wheel has two vertical spokes, set closely together, leaving 80 percent of the rim "open" for maximum visibility. The laid-back center hub, containing the driver air bag and auxiliary switches, is stationary, with the wheel rim revolving around it. Left and right horizontal paddle-levers just behind the wheel activate the remote radio functions. The sloping plane of the center hub, which cantilevers forward above the steering column, houses the instruments which are displayed on a thin blue acrylic viewing screen set directly in front of the driver. The entire multi-piece ensemble adjusts with the wheel rim to the driver's needs.